What you need to know about buying a used car in NEw Zealand. A road trip in New Zealand is the experience of a lifetime… Purchasing a vehicle to do said road trip is not quite so exciting. 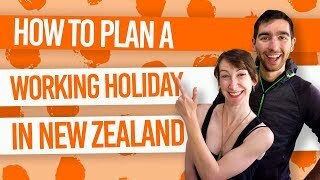 Nevertheless, it’s a necessary process if you are wanting to travel New Zealand by car or campervan for more than a month or so. Buying a secondhand car in New Zealand is very common practice for backpackers, so there are plenty of secondhand vehicles out there that will get you around. However, the worst nightmare of any road tripping backpacker is finding out that their vehicle is a pile of crap. Buying “a lemon”, as they say in New Zealand, often means paying out hundreds or even thousands of dollars to get your car fixed. Avoid this disastrous scenario by following our tips for buying a used car in New Zealand. You can also follow the tips in our Buying a Car in New Zealand Step by Step. The first tip for buying a secondhand car in New Zealand is knowing that you have the right license to legally drive in New Zealand. Your driving license from your home country must be in English, otherwise you will need to have your driving license accompanied by an International Driving Permit (IDP) or a translation that is approved by the NZ Transport Agency. An IDP is obtained before you arrive in New Zealand or a translation can be obtained once you are in New Zealand. For details, refer to Why You Need an International Driving Permit for New Zealand and How to Translate an Overseas Driving License for New Zealand. Another thing to note is that your driving license from home will only be valid in New Zealand for 12 months since you arrived. After that, you will need to get a New Zealand Driver License. The most concentrated areas of secondhand vehicles in New Zealand are the cities of Auckland, Wellington and Christchurch. This is because these are the most popular arrival departure cities in New Zealand. Looking for a secondhand vehicle in these cities will give you a large selection to choose from. However, Auckland in summer can get especially competitive on the car-buying market, so consider taking the bus to another city if you have no luck and try looking for a car somewhere else. We recommend the city of Tauranga, just 3 hours south of Auckland, not only for its abundance of vehicles for sale, but for campervan dealers, like Kiwi Road Trips, with their handy buy-back guarantee. There are a number of tools you can use to make buying a secondhand car in New Zealand a quick process. 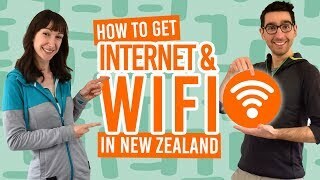 Try Backpacker Facebook Groups like this dedicated Buy and Sell group, the New Zealand auction website TradeMe, advertising in hostels, backpacker car fairs and cars advertised for sale on the side of the road. We go through the pros and cons of each car-buying resource in Where to Buy a Backpacker Vehicle in New Zealand. Backpackers buy all kinds of secondhand vehicles, from small cars that will get them from A to B, to spacious campervans that they end up living in for a few months. Really think about what vehicle you will need for your trip in New Zealand. Check out how to utilise different types of backpacker vehicles in our Different Types of Campervans in New Zealand. Always inspect a secondhand vehicle before purchasing it! Arrange to inspect the car with the seller and check under the hood/bonnet, inside the car, outside and under. If it’s a campervan you are buying, make sure that all the amenities are working too. Anything that looks dodgy or broken will only cause you trouble down the road. If you don’t know what to look for when inspecting a vehicle, be sure to follow our steps in Buying a Car in New Zealand Step 1: Car Inspection. Some problems can’t be seen until you drive the car so when going to do a car inspection, make sure you test drive the car. This is common practice when buying a secondhand car in New Zealand, so if the seller refuses don’t go through with the sale. We have loads of tips on what to look our for in a test drive in Buying a Car in New Zealand Step 2: Test Drive. WOF or Warrant of Fitness is the certificate to show that the vehicle is deemed road-worthy and safe to drive on New Zealand road. The version for larger vehicles like motorhomes are Certificate of Fitness (COF). Driving a vehicle without a WOF or COF in New Zealand is illegal. Check that the secondhand vehicle you are looking at has at least one month left on its WOF. How long the WOF is valid for also gives you an idea of when you will need to take your car for a WOF if you purchase it. Both the buyer and the owner of a secondhand vehicle will need to fill in some paperwork to change the ownership of the vehicle. This is important because whoever owns the vehicle is responsible for any fees or fines. You can pick up a change of ownership form from any New Zealand Post Shop or AA centre. The forms are MR13A and MR13B. If you are buying from a professional dealer, then you will need to fill our a sales agreement. For more information on the paperwork involved in the vehicle-buying process, check out Buying a Car in New Zealand Step 3: The Paperwork. Although it is not mandatory to have car insurance in New Zealand, you may want to consider it to avoid paying expensive fees if you are ever involved in a car accident in New Zealand – whether it’s your fault or another party’s. However, the cost of buying insurance is a big expense in itself so it’s important to compare the market and get the best deal. To help you understand the different types of policies out there, take a look at How Car Insurance Works in New Zealand. Before you even do a test drive, we strongly recommend that you become familiar with the New Zealand rules of the road. Even if you come from a country that appears to have similar road rules to New Zealand, you may be surprised at the subtle differences that could make a huge difference to whether you may have an accident or not. Take a look at How to Drive in New Zealand and The 12 Golden Rules of Driving in New Zealand.